Whilst asbestos mining first began around 4,000 years ago, it wasn't until the 19th century that demand really took for it with its sound absorption properties, strength and resistance to fire. Health concerns began to arise in the 1920's and 1930's, but it wasn't until the 1980's and 1990's that asbestos began to be banned and phased out of use. Today the harmful effects are still ongoing today and still remains in many derelict buildings. Asbestos is made from six silicate minerals: chrysotile, tremolite, anthophylite, amosite, crocidolite and actinolite, and they are all naturally occurring. They all have an asbestiform habit, which means that they grow in long, flexible fibrous way. Each of these fibres are made up of millions microscopic fibrils, which are released with any abrasion or friction. We touched on the microscopic fibrils which are released if agitated, and it’s these which makes asbestos very dangerous, if inhaled they can causes many different diseases. But these will not show straight away, they develop over a long period of time and there are still around 5,000 each year who die from past asbestos exposure. Mesothelioma is a disease which affects the lining of the lung and lining which surrounds the lower digestive tract. This disease is primarily caused by asbestos exposure and usually by the time it diagnosed it is usually fatal. Asbestos related lung cancer looks the same as lung cancer caused by smoking or other issues. This is a condition which causes scarring of the lung, usually occurs after heavy exposure to asbestos and causes progressive shortness of breath. It can also be fatal. With pleural thickening the lining of the lung as the name suggests, thickens and swells, if the condition worsens it can squeeze the lung itself as well as causing shortness of breath and discomfort in the chest. 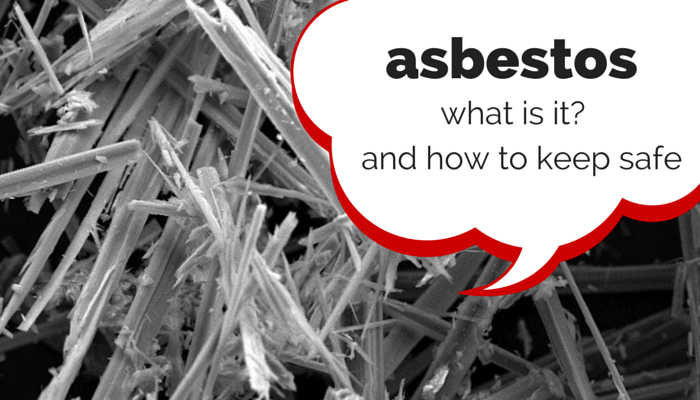 Who could be affected by asbestos? You can find out more about codes of practice and how to keep safe while working with asbestos by visiting the hse.gov.uk site, who have a dedicated section. Tags : asbestos who is affected by asbestos?